EDINBURG — RGV FC keeper Calle Brown said an ideal night for him is standing in the back, doing nothing, and then celebrating a win after 90 minutes. On Saturday against LA Galaxy II, his evening was substantially more strenuous. Brown, on assignment from the Houston Dynamo, was peppered with shots early and often. Though he came up with eight saves, LA’s Jonah Estrada snuck one past him after an RGV FC giveaway in the 70th minute, pushing the Galaxy to a 1-0 win against the Toros at H-E-B Park. Before Saturday, Brown had only had to make eight saves on 10 shots across his five starts for RGV FC. Against LA, he faced six shots on target in the first half alone. For the game, he corralled three saves diving to his right and a fourth on a lunge to his left. Rarely have the Toros faced that level of pressure, allowing only 10 goals on the year to rank as the USL’s third stingiest defense. LA found its eventual breakthrough on a defensive error by RGV FC. In the 70th minute, the Toros sent a throw-in to defender Taylor Hunter, who had time and space to operate at the back. Midfielder Charlie Ward came back to link up with Hunter, but Hunter’s pass was too far up the field and ended on the foot of LA’s Justin Dhillon. Dhillon quickly sent a pass on to Estrada, who had a clean look at goal from straight on at the top of the penalty box and buried it into the right side of the net. Brown said he came as close as he could to making the save but struggled to get a good push off the H-E-B Park field surface. Ward and Brown both said they couldn’t pinpoint why RGV FC’s defense struggled to limit LA’s opportunities. Gonzalez said he didn’t feel any tactical issues were at fault. LA entered the night just 2-8-2 and had been outscored 24-10 on the season. Galaxy II boasts one of the league’s younger rosters, and Saturday’s goal was the first of Estrada’s professional career. 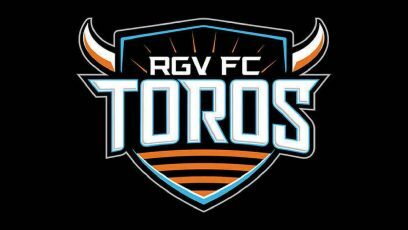 The loss drops RGV FC to 5-5-2. Ward and Gonzalez said RGV FC’s overall play and offensive pressure improved during the second half, with Gonzalez saying he essentially used four forwards. During the final 45 minutes, RGV FC had five shots to LA’s three, six corners to LA’s one and 11 open play crosses to LA’s one. The Toros held 67.8 percent of the second-half possession and 60.1 percent for the game. RGV FC created a few dangerous plays in front of the net during the closing moments but could never equalize. Ruben Luna led the Toros with three total shots, putting one on target.